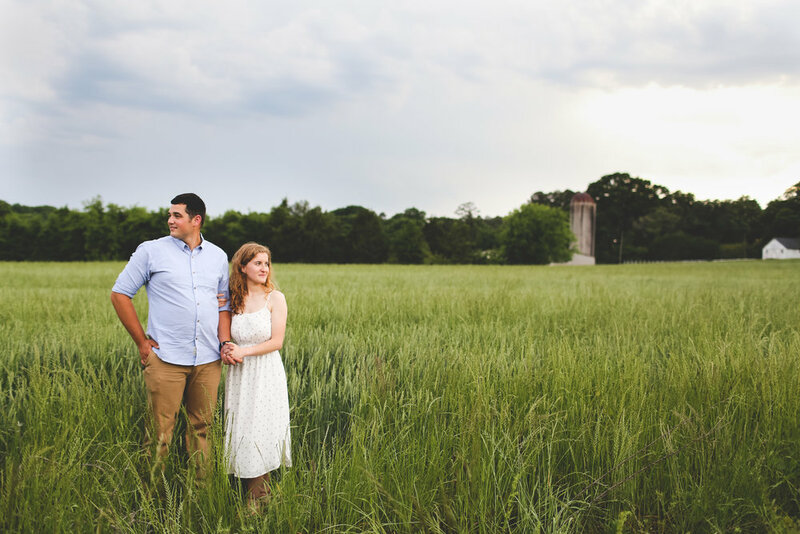 The golden light, dynamic shadows, tall grass, and towering pine trees were just a plus to capturing Amy and Bobby for their sweet engagement session! Amy and I [Jennifer] met back in 2005 when we were serving together in Child Evangelism Fellowship [CEF]. CEF was the ministry that dramatically changed my life as I learned more of the depths of the Gospel and how to share it clearly with others. Amy was always so much fun to teach with, and we all learned a lot from her since she was more seasoned than the rest of us! We are so excited to share the engagement photos of this sweet couple! Jon grew up with Mindy's family in Missouri, so it was definitely very special for us to be a part of this fun time in their lives. Eric lives about 1.5 hours from us, close to the mountains. Mindy often braved the long drive to visit Eric [it took us 18 hours to get home from MO a few weeks ago, but it really should be more like 12 or 13...] while Eric periodically flew to see her and her family. Here is a little bit on how they met! William and Lauren were such FUN! This engagement shoot included an abundance of laughter, adventure, crazy horses [see below for proof! ], and sweet moments. The weather at The Dairy Barn was absolutely perfect. Lauren did a fabulous job in selecting outfits that popped, as well as bringing some fun props. We have so enjoyed getting to know this couple and have included their story below so you can get to know them as well! Hint: it's hilarious. Joe and Jenna were so much fun to shoot with my girlfriend Jennifer as my second shooter. I was introduced to them via Jennifer, who will be performing at their wedding with her family music business Wescottage Music, it's neat when we both get to be doing photography and music at the same wedding! It's been a joy getting to know Joe and Jenna, and I'm so excited to be their wedding photographer next month! There's just something about an engagement. Capturing that moment, so full of emotion, joy, and anticipation. Jason surprised Lauren on a gorgeous, Sunday afternoon, and recording her surprise and joy was special and it makes me smile just thinking about it. Congratulations you guys!